I’ve come from Bahrein to study at EC London 30+. I decide to study at EC because it’s a school for adult people. And it’s amazing to study at this school. I will never forget the staff in EC. 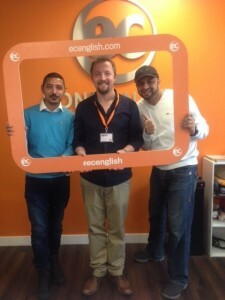 I will recommend EC London 30+ to my friend about studying English. And I will recommend London because I liked everything about London. I visited a lot of place in London and I had rest but my favorite place is walking in London streets. Testimonial of Abdulrahman who stayed 16 weeks at EC London 30+.